The conference (http://www.eaere-conferences.org/index.php?y=2017) was held under the auspices of the Municipality of Athens, with invaluable support from a number of local sponsors including the ALBA Graduate Business School, John S. Latsis Public Benefit Foundation, the Bank of Greece Climate Change Impacts Study Committee, Gutenberg Publishing House, Katogi Averoff Winery, the Mariolopoulos – Kanaginis Foundation for the Environmental Sciences, and Kathimerini Newspaper. Nearly 150 different sessions were held at both the Megaron International Conference Center and ALBA Graduate Business School, on topics ranging from climate change, sustainable development, and environmental policy, to ecosystems and biodiversity, renewable energy, clean technology and greening of the economy. 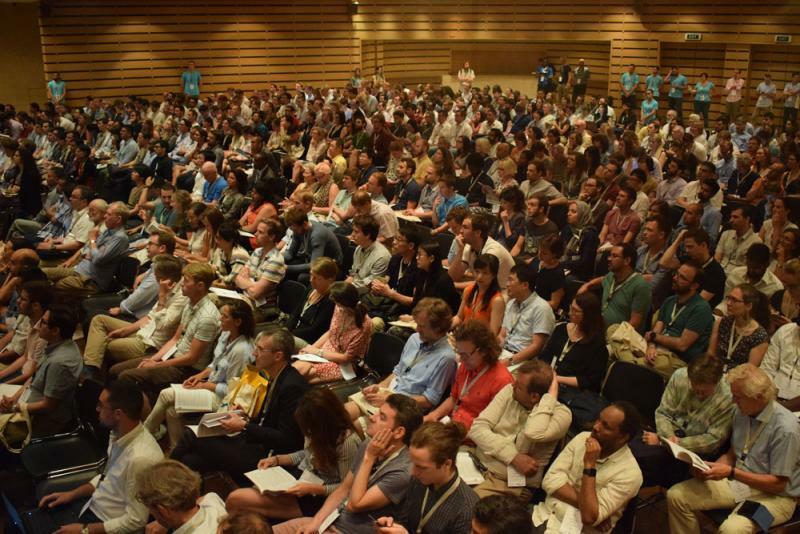 More than 800 economists, researchers, policy makers, and practitioners from 51 countries attended the conference to present and discuss current research and policies related to environmental and resource economics. Although the majority of attendees came from Europe, people from all continents of the world participated, traveling from the United States and countries as far away as Chile, Uruguay, New Zealand, Korea and India. The conference, which was co-chaired by Prof. Phoebe Koundouri and Prof. Sir Partha Dasgupta and had a local scientific committee composed of Prof. Yannis Ioannidis, Prof. Andreas (dude!) Papandreou and Prof. Anastasios Xepapadeas, featured keynote addresses from world-renowned experts on vital environmental issues, as well as policy sessions and thematic sessions, and presentation of a large number of research papers in parallel and poster sessions. There was also an exhibition including environment-related publications from Springer Publishing, Cambridge University Press, Environment for Development, University of Chicago Press, and the Environmental Defense Fund, while Elsevier and the journal Nature Sustainability provided generous sponsorships. Evening events at the Parko Eleftherias, the garden of the Academy of Athens and the Ecali Club allowed participants the opportunity to interact informally while enjoying Greek hospitality in attractive natural environments.